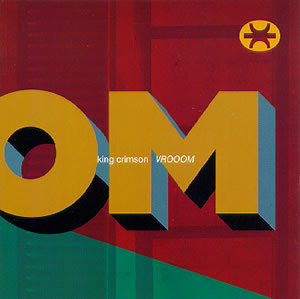 Memories Of My Illusions: Oax Pick - King Crimson's "Vrooom"
I agree, I have to say: In hindsight, I also prefered the 'rougher' "Vrooom" versions of the Double Trio repertoire to the more polished versions on "ThraK". These Woodstock recordings sound 'live in the studio', whereas the sessions at Real World sound a bit more... considered? The material would, of course, evolve and improve further as they played it live during "hot dates", as countless 'DGM Live' and 'Collectors Club' releases will reveal. Fripp's own description of King Crimson is that it is/was "a way of doing things", rather than a particular sound or style.